OxyCORE is a vegetarian friendly weight loss aid produced in America by Hybrid Nutraceuticals. On the “About Us” page on the website the company describes itself as the “the world’s best and most advanced supplement company” and states it is committed to “engineering” the most effective clinically proven formulations. This is the kind of self-praise that is pretty much the norm for diet pill manufacturers, but in this case it would be more believable if the company could engineer a website that functions correctly. The “About Us” page is one of the few pages on the site that actually work. Positives: Has a decent ingredient profile. What is OxyCORE and How Does it Work? OxyCORE is a diet capsule with a distinctive blue and white casing. Each capsule contains a blend of natural ingredients; and customers who purchase the product are promised several benefits. 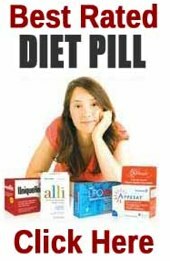 These are pretty standard ambitions for a diet pill. “Clean energy” usually means the formulation is designed to boost energy levels, but does so without causing stimulant-related side effects. OxyCORE contains several stimulants though, so any energy provided is unlikely to be that clean. Enhanced focus is nice, but is more useful for weight lifting than it is for weight loss. Thermogenesis is a process where the body wastes calories by losing them as heat. Appetite suppression eases the dieting process by taking away hunger pangs. Fat blockers prevent the absorption of dietary fats. Diuretics are a controversial inclusion because they cause people to lose water not fat. Their presence in weight loss supplements can cause confusion because when people lose water from the body they become lighter. This can be mistaken for fat loss. It is not possible to accurately predict the way the formulation will perform because there are too many ingredients and too few inclusion rates. However, the pills are designed to provide energy and yohimbine is good for that. So is caffeine, but it is seldom seen as a “clean” energy provider. The promise of enhanced focus could also be supported by the presence of caffeine, as could the capsules’ alleged ability to promote thermogenesis, because scientific study reveals caffeine is a thermogenic fat burner. Green tea is also a thermogenic fat burner. Capsicum and cayenne are just different forms of the same ingredient and they are fat burners as well. The inclusion of raspberry ketone, hoodia, and glucomannan could uphold the claims of appetite suppression and glucomannan is particularly good, but three doses of at least 1000mg are required each day and the quantity here cannot possibly be sufficient. 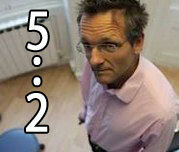 Garcinia cambogia is a fat blocker, and dandelion and juniper are diuretics. Taking a look a the blend as a whole it could have merit as a weight loss provider, but only if the inclusion rates are sufficient and there is no proof that they are. Usage Instructions – should always be taken with 16oz of water. New users should take just one capsule per day, half-an-hour before breakfast. After two weeks of use a second dose can be introduced at lunchtime, but it is important that the two doses are separated by at least four hours. Some people claim to have obtained good results. Others say the product let them down. The label on the bottle states OxyCORE is not intended for people under 18-years of age or for pregnant or nursing mothers or anyone who is contemplating becoming pregnant. It also suggests all potential users check with a doctor before commencing supplementation and stresses this is particularly important for people who are taking medication or have existing health issues. At the time of this review the manufacturer’s website contained no information about any of the products and most of the navigational links were not working. The company were still selling on Amazon though, and the price for a bottle of pills was $33.95 (£20 approx). The guarantee period is just 14 days. Dieters who use OxyCORE within the constraints of a calorie restricted diet will probably find they lose a little more weight than they would without the pills, but it is not a particularly impressive product and customer feedback suggests it may not work for all. The 14-day guarantee period is also an issue. 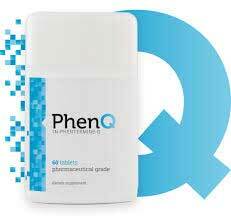 It does not allow people much time to evaluate the product and does not compare well to the 60-day guarantee that accompanies some of the better dieting products like PhenQ. We can’t reject OxyCORE because it has some redeeming benefits, but neither can we endorse it when so many other products offer so much more for the money.